The e-pill CADEX V8 (click on photo to enlarge it) is a nicely designed medication reminder watch with long alarm duration. The easy-to-read LARGE display shows time and date. 30 Day Money Back Guarantee! FREE standard SHIPPING (US Customers only). 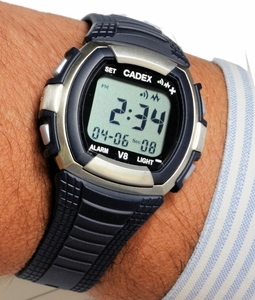 EIGHT - ALARM VIBRATING WATCH excellent for hard of hearing patients (strong vibration / long duration)! This watch is for everybody who does not want the world around him or her to know they are on medications. 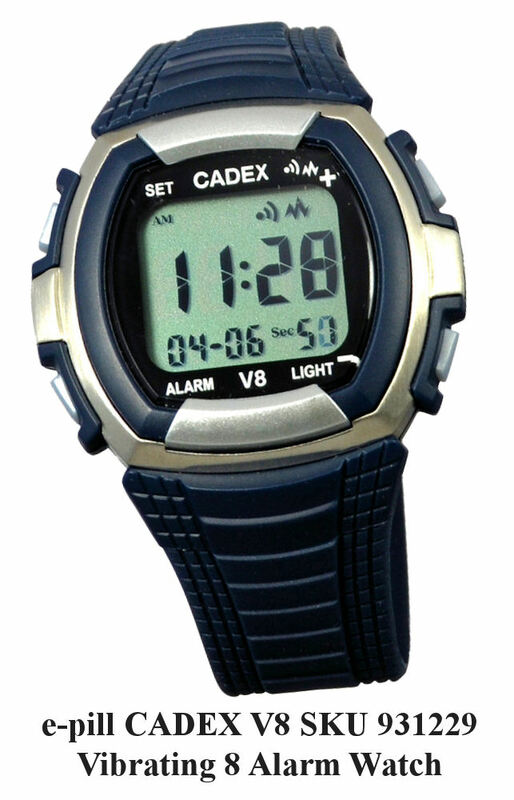 Color: Navy Blue/Silver | Buttons: Grey / Strap: Navy Blue Rubber Strap.